is one of the most significant factors affecting the behavior and functional abilities of Alzheimer's and dementia patients. The Alzheimer's Alternative Care Center at Buckingham Pavilion provides space that is secure, comforting and non-threatening. the opportunity to continue their lives with dignity and meaning. 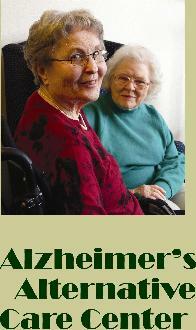 For more information about Alzheimer's care at Buckingham Pavilion, please visit our web site. 2625 West Touhy Avenue, Chicago, Illinois 60645. Phone: 773-764-6850.